If you are contributing to a Roth IRA as part of your investment portfolio, we have some important news for you. Changes are coming to the Roth rules in 2019 including new income caps and contribution limits. Incorporate the new information into your retirement planning to optimize your financial gains. Overall, the news is good, with increases in the contribution limits among other things. We will look at how these changes impact your 401(k) contributions and roll-overs, traditional IRA income, SEP IRA and solo 401(k)s. We will also take a quick look at SIMPLE (Savings Incentive Match Plan for Employees), defined benefit plans, and Quality Longevity Annuity Contracts (QLACs). Here is what’s new about the Roth IRA in 2019. A Roth IRA differs from a traditional IRA in that you contribute post-tax income rather than pre-tax dollars. 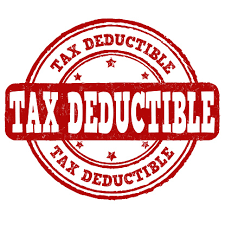 You cannot deduct Roth IRA contributions when calculating your income tax. However, after retirement, all withdrawals that follow Roth IRA rules are tax-free. Also, there are no mandatory withdrawals from a Roth IRA. Traditional IRAs require you to start withdrawing funds at age 70 1/2. Without the requirement for withdrawals, estate planning is simplified, plus the account balance can continue to grow no matter your age. Your heirs do not pay income tax on inherited Roth IRAs either, but they must take distributions over their lifetimes. You can contribute to the Roth IRA if you continue to work past retirement age and remain within the income limits, providing a retirement savings tool for those over the distribution age of a traditional IRA. In 2019, the IRA contribution limit will increase to $6,000, up from $5,500 – the first increase in six years. The additional investment will add to the compounded earnings in your IRA, a valuable change for younger retirement investors who will have the opportunity to save more over their working lifetimes than previous generations could. In 2019, the amount of income you can earn and remain eligible for a Roth IRA has increased along with contribution limits. You can earn as much as $2,000 more annually, up to $122,000; couples may earn up to an additional $4,000 per year or up to $193,000. In 2018, the income limit was $120,000 for individuals and $189,000 for couples. Roth IRA contribution eligibility begins phasing out for workers earning $122,000 to $137,000 individually or $193,000 to $203,000 as a married couple. 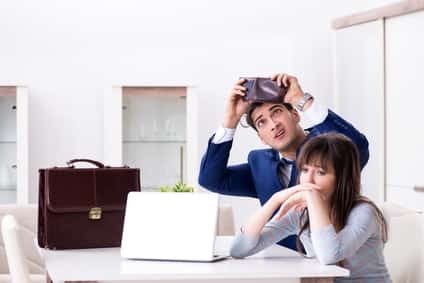 When earnings hit more than $137,000 for an individual or $203,000 for married couples, you are no longer qualified to contribute directly to a Roth IRA. The phase-out for Roth IRAs means that as your income increases through the phase-out range, your allowable contribution will shrink. When you hit the maximum income for phase-out, you are no longer qualified to contribute to a Roth IRA. However, if you earn too much for a Roth, you can still use a nondeductible IRA for additional post-tax contributions. If and when Congress lifts income restrictions in the future, you can roll your nondeductible IRA into a Roth at that time. The 401(k) has, in large part, replaced pension plans at most companies. The change has helped smaller employers offer a form of retirement planning and savings to their employees, which may have been financially infeasible for them in the past. Once an employee retires or leaves a company with which a 401(k) has been created, the expectation is that the money will be rolled over into a retirement savings device such as a Roth IRA. In 2019, the limits for 401(k), 403(b), the Thrift Savings Plan, and most 457-plan contributions rise to $19,000 from $18,500 the year before. By increasing your paycheck deferrals just a little, you can contribute the maximum to your retirement account painlessly each payday. The $500 per year increase in contributions works out to the ability to defer income tax on an additional $40 per month. The 401(k) catch-up limit for employees 50 years of age and older has not changed, however. You are still limited to $6,000 per year. On the other hand, with the new limits on regular contributions, older workers can put away up to $25,000 in their 401(k) this year. These changes also apply to the 403(b) plans in use by the employees of certain tax-exempt businesses as well as public school teachers. What does all this have to do with Roth IRAs? For several years, you have had the opportunity to do an “in-service” distribution with your 401(k) into a Roth IRA if you are still working at 59.5 years old, as long as your plan allows it. The employee (you) must be in the plan for at least five years, or you have reached eligibility age according to plan documents. The money has been in the 401(k) for at least two years. If you rolled over an IRA or a previous 401(k) into the current 401(k) plan or contributed after-tax earnings, they can also be converted by an in-service distribution, as long as the plan allows it. If you are unable to convert to a Roth IRA, you still have options. If you cannot convert your 401(k) into a Roth IRA, you may be able to convert to a Roth 401(k). The IRS provides guidance. To qualify, you need a Roth 401(k) option with your employer’s current retirement plan. If there is no option for a Roth 401(k), you cannot convert. Also, you will not have the option to recharacterize a conversion to a Roth 401(k) like you can a Roth IRA. A recharacterization is when you start a Roth IRA conversion and change your mind, you can cancel the conversion and “recharacterize,” or take back the money you placed there. The deadline for recharacterizations is October 15 of the year following the Roth conversion. If you convert to a Roth IRA in 2019, you have until October 15, 2020, to apply for a recharacterization. Once that deadline has passed, you may not recharacterize the Roth conversion from 2019. Remember that you must be separated from the employer holding the 401(k) before you can begin the rollover process. You cannot roll over a 401(k) until you have retired or left the employer, whether the separation was voluntary or not. The process for rolling over a 401(k) into a Roth IRA used to take two steps. 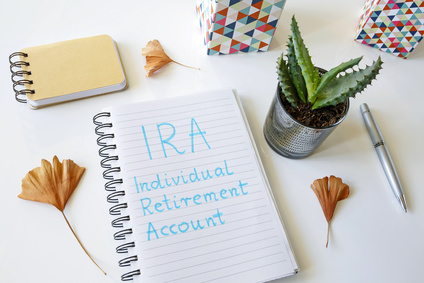 You were required to open a traditional IRA account, roll over your 401(k) into it, and then convert the traditional IRA into a Roth IRA. A rule change now allows you to convert directly from a 401(k) to a Roth IRA, cutting out the step of opening a traditional account. However, not every company retirement plan allows this option. For example, you may find that your state retirement fund does not have a pathway to roll over your savings into a Roth IRA, and possibly not even a traditional IRA. Check with your plan manager and your financial adviser to learn about the options for all your retirement savings plans. The Roth IRA allows you to save money for retirement even if you have maxed out your pre-tax contributions or if you are trying to control your tax burden once you retire. 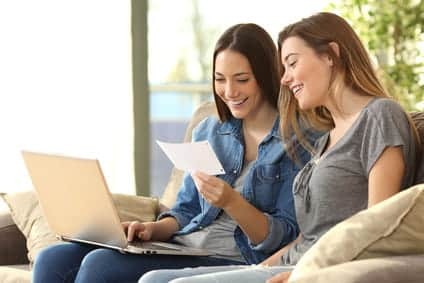 But some of the rules have changed that you and your tax expert must consider before opening a Roth or converting another savings plan into one. When you convert a tax-deferred IRA or 401(k) to a Roth IRA, you are liable for the tax on the contributions. Remember, the money that was placed into the 401(k) was pre-tax earnings. Moving those funds into a Roth IRA means you lose the tax-deferment, although you will not pay the early distribution penalty. The original rule had an option that allowed you to defer reporting the contributions you converted to a Roth on your taxes until the next tax year, in the hope that tax rates may have decreased. That has changed. Any income from a conversion of a tax-deferred retirement account to a Roth IRA must be reported the same year as the conversion.